The popular Kodi media player software returned to its roots today. The team just announced that Kodi for Xbox One is available worldwide through the Microsoft and Xbox store. This means that the project, which once started as the Xbox Media Player, has come full circle. The Kodi media player software has seen a massive surge in popularity over the past few years. With help from a wide range of third-party add-ons, some of which offer access to pirated content, millions of people now use Kodi as their main source of entertainment. As time went by XBMP became XBMC, and eventually Kodi. The last name change made sense as the software was no longer being developed for Xbox, but for other devices, running on Linux, Windows, OSX, and Android. While the broader public was perfectly happy with this, the sentimental few were missing the Xbox connection. For them, and many others, Kodi has a surprise in store today after returning to its roots. “Let us end the year 2017 with a blast including a nostalgic reference to the past,” the Kodi team announced. The Kodi team provides quite a bit of history and context to the Xbox return in a detailed blog post. At the same time, it also cautions users to keep in mind that this is just the initial release, which still has some very rough edges. “What you should really understand and keep remembering is that it is still in early stages of development and has very rough edges, might not be as stable as the regular version and may even be missing some functions,” they write. Kodi’s look and feel on the Xbox One are very familiar though. Anyone who had Kodi installed on a different platform should have no issue navigating the interface. The usual add-ons should work fine as well. 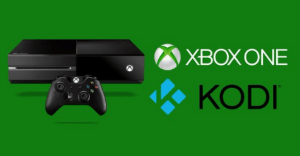 With the new Xbox One release, Kodi has come full circle. After 15 years they are back where things began.